As I prepare to celebrate my 6th wedding anniversary in a few days I often find myself marveling at the fact that A) another year has passed and B) I have logged yet another 365 with the man of my dreams. I also am amazed at how much has happened in those years we have spent together. Over the course of our 13 year relationship we went from wild and crazy college kids to responsible parents of (nearly) three. Yikes! 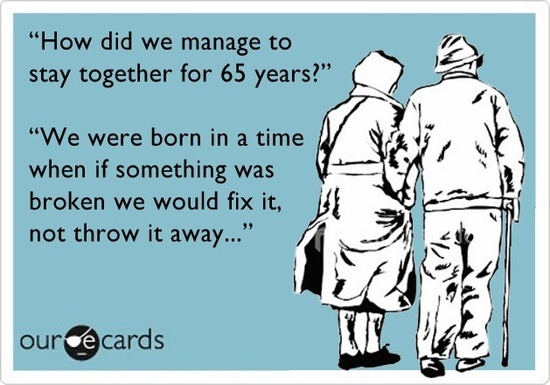 But as all thriving relationships do, my marriage takes work. Like, on the regular, legit work. Patience, compromise, compassion...a ton more patience. I think of the time and energy it takes to keep a relationship in tact and realize that for many it's something that gets overlooked. With work, kids and the day to day insanity, making time for your partner seems to be one of the first things to go. Working on your relationship is the easiest thing you can do, you just have to do it. Simply recognizing you need to "reconnect" (thank you Ash's TH for that great word reference) with your spouse then again, doing it. I find myself doing this even when I am making dinner with two toddlers under foot. A simple glance, smile and, "I love you" can do wonders. I try and imagine time stopping and it is just he and I, even if it is just for one second. Whether "working on your marriage" means scheduling a date night each week, planning a weekend getaway or just sitting together on the patio after a long day and taking in the beautiful sunset; it is well worth doing. You have to make the effort to set aside the time to be together, no matter what. Yes, that does mean you can't text or take a call during that time. You need to be mentally and physically present in the time you spend together; truly make it count. So, for the next forever I will remind myself that my marriage must always come first. It will take work, but everything that truly matters is worth working for. 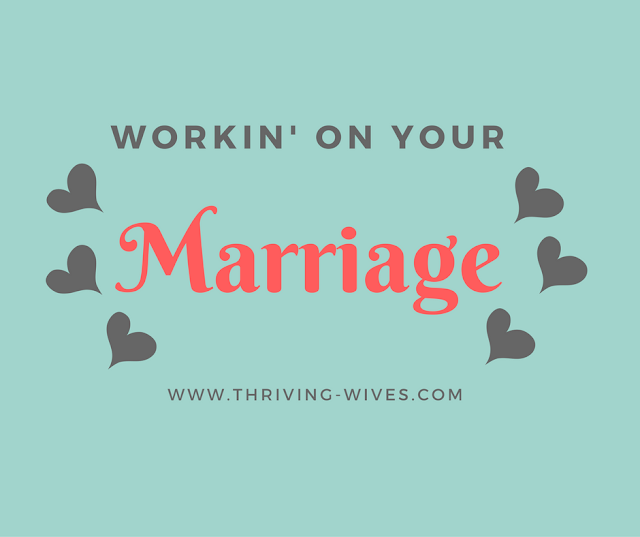 What do you do to "work on your marriage" and make sure both parties are happy and fulfilled?